Daughters of the Khalsa: The Power of the Khalsa Women! The Power of the Khalsa Women! Men's stories are public. Women's stories are private. Men commit great feats in a burst of energy that are sung and talked about for hundreds of years. Women slowly and consistently nurture and build their children, their families, their communities, their visions. It is easy to point to a man's accomplishments. It is much more difficult to point to a woman's. Yet, the Gurus understood that men and women both participate equally in the play of Creation; that both are necessary. In Sikh history, it is easy to identify the public, male stories that show the power of the Khalsa consciousness. Yet, with every male story there is a hidden side -the private world of the Khalsa woman. 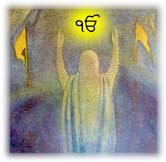 It was this joint consciousness, valour and wisdom, male and female that displayed the true power of the Khalsa. Thank you for linking the name of Amar Singh Dhaliwal to your blog related to Sikhism but please remove any company or school with his name or books. If you need more articles by him on women, contact his daughter, Sindy Dhaliwal. Principal Amar Singh Dhaliwal, "Rudiments of the Sikh Religion," pg.14., Khalsa School Vancouver.